Actor Nagarjuna with his wife Amala show their ink finger after casting their votes at a polling station in Hyderabad. 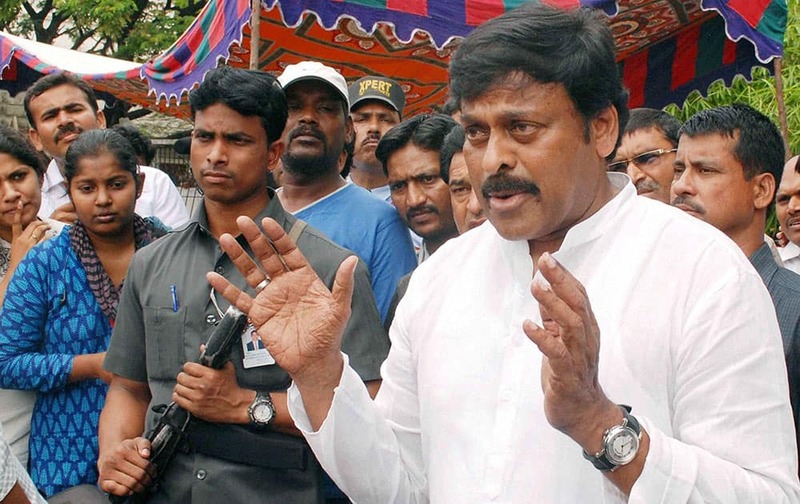 Tourism Minister K Chiranjeevi addresses the media after casting vote at a polling station in Hyderabad. 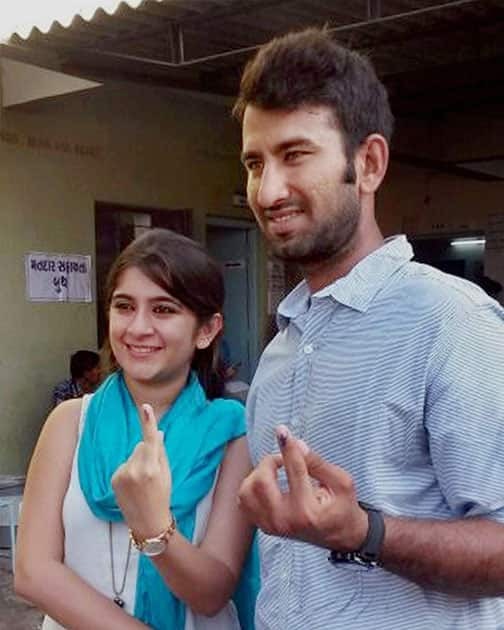 Cricketer Cheteshwer Pujara and his wife Puja display their inked fingers after casting votes for Lok Sabha elections in Rajkot. 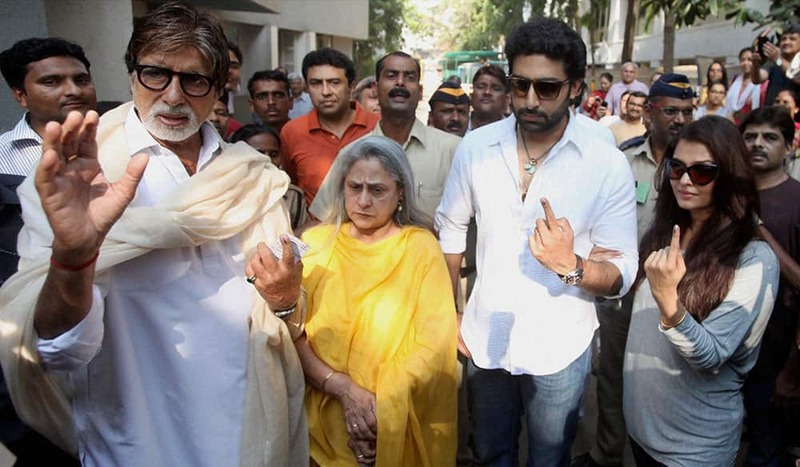 BOLLYWOOD ACTORS AMITABH BACHCHAN ALONG WITH FAMILY MEMBERS JAYA, AISHWARYA AND ABHISHEK AFTER CASTING THEIR VOTES FOR THE LOK SABHA ELECTIONS IN MUMBAI. 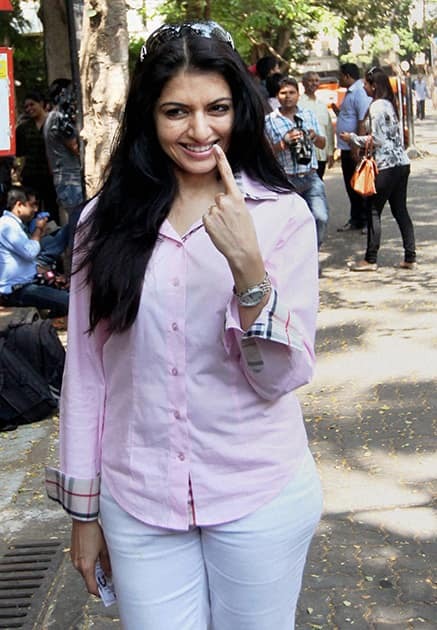 Bollywood actor Bhagyashree after casting her vote for Lok Sabha elections in Mumbai. 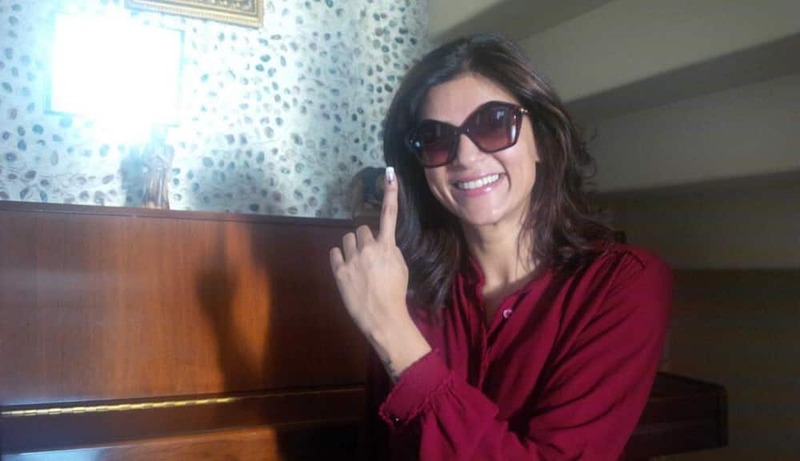 Bollywood actor Hrithik Roshan's ex-wife Suzanne Khan after casting her vote during the Lok Sabha elections 2014 in Mumbai. Bollywood actor Esha Deol after casting her vote for the Lok Sabha elections in Mumbai. 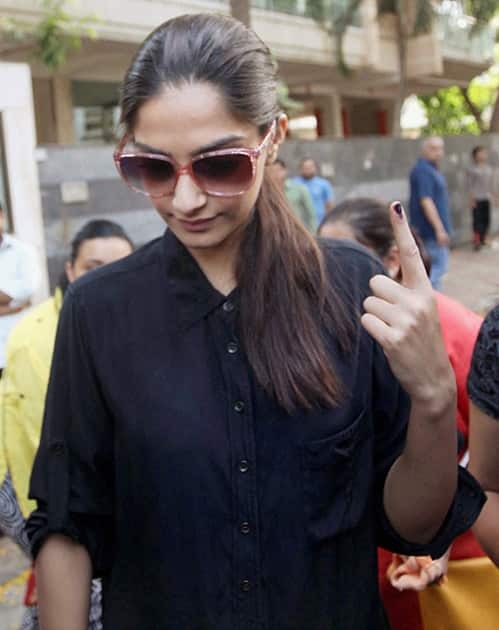 Bollywood actor Sonam Kapoor after casting her vote for Lok Sabha elections in Mumbai. 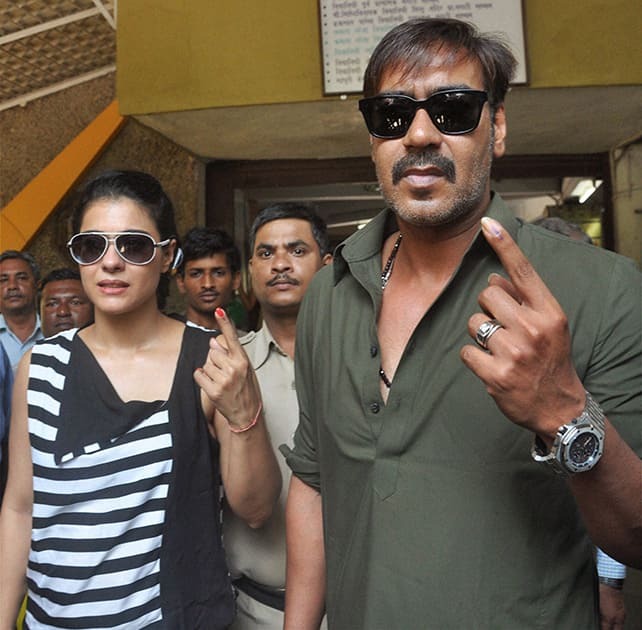 Bollywood actors Ajay Devgn with wife Kajol after casting their votes during the Lok Sabha elections 2014 in Mumbai. 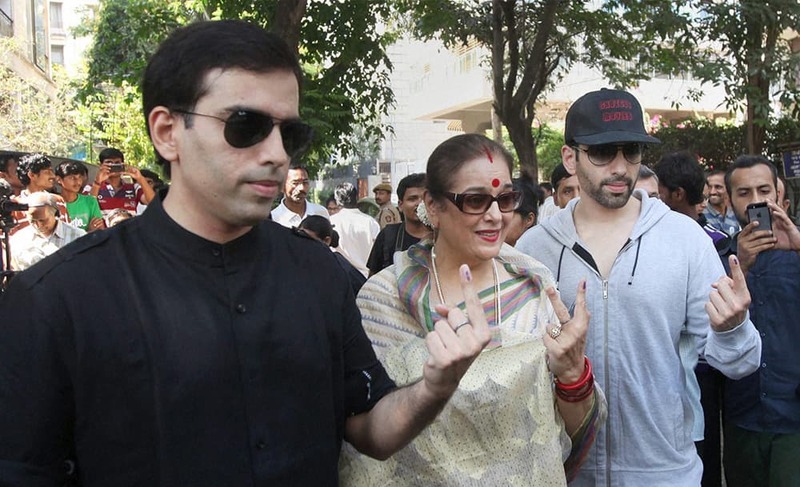 Bollywood actor Shatrughan Sinha's wife Poonam and sons Luv and Kush after casting their votes for Lok Sabha elections in Mumbai. Actor Kamal Haasan and his wife Gowdami show their inked fingers after casting votes for the Lok Sabha elections, in Chennai. 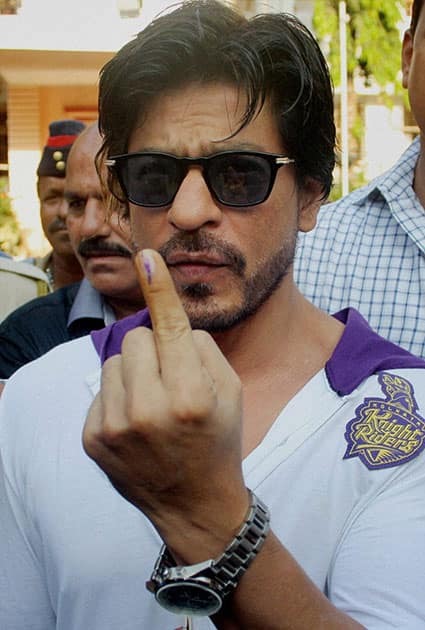 Actor Shahrukh Khan after casting his vote during the Lok Sabha elections 2014 in Mumbai. Actress Trisha shows her inked finger after casting vote for the Lok Sabha elections in Chennai. 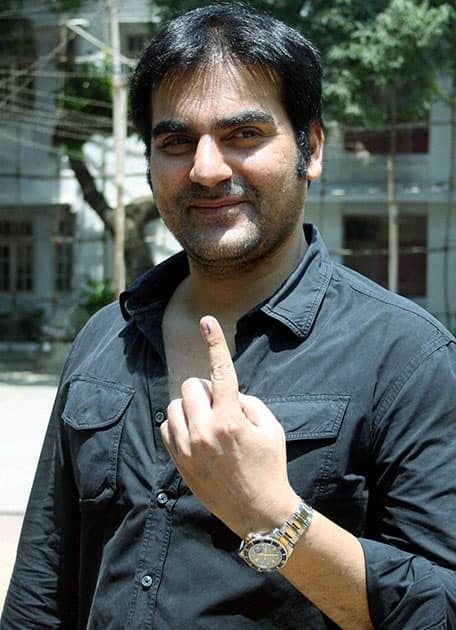 Actor Arbaaz Khan after casting his vote during the Lok Sabha elections 2014 in Mumbai. 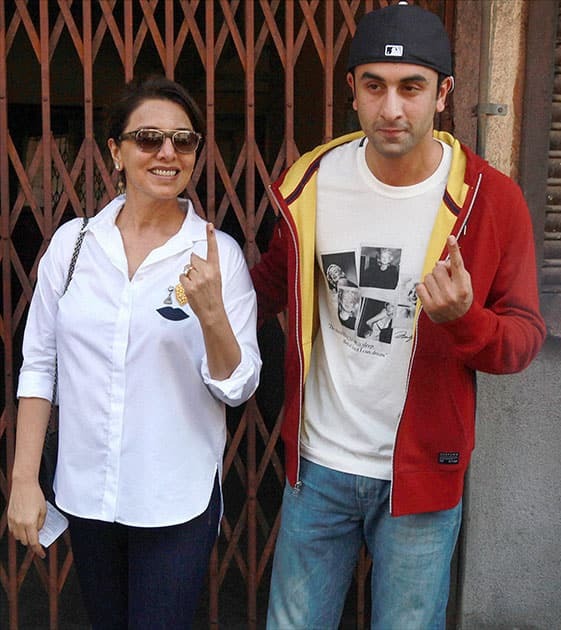 Bollywood actor Ranbir Kapoor and his mother Nitu Singh display their inked fingers after casting votes for Lok Sabha polls in Mumbai. 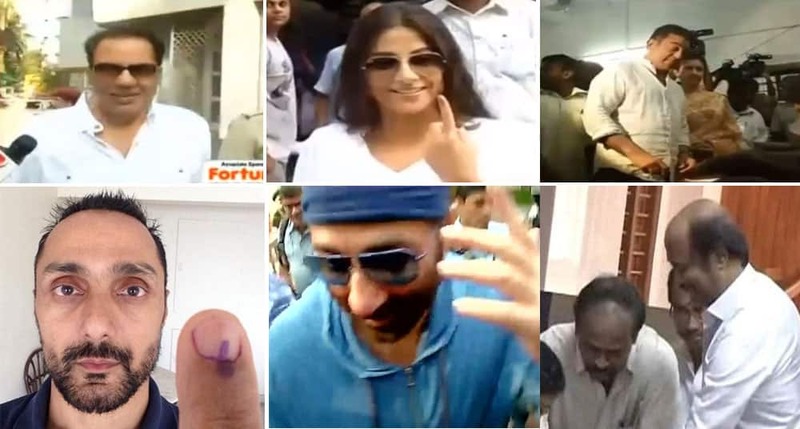 Bollywood actor Sohail Khan along with his wife, displays their inked fingers after casting their votes for Lok Sabha polls in Mumbai. 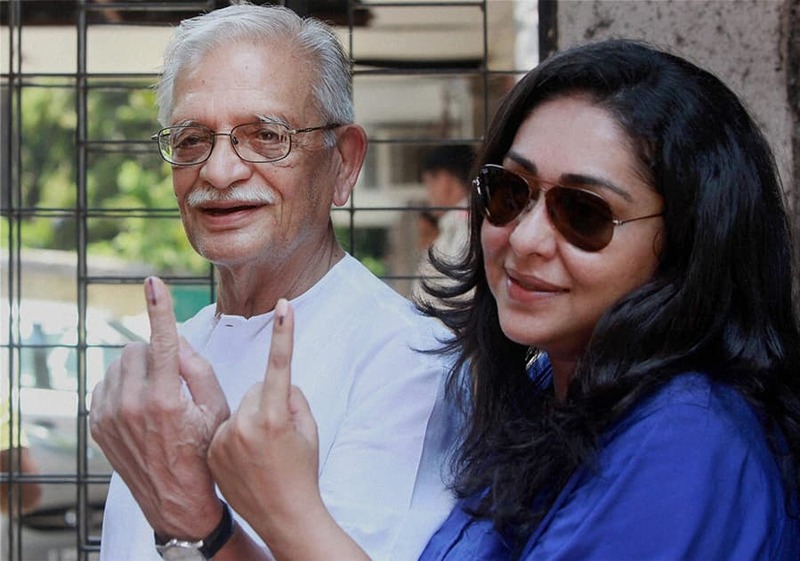 Poet Gulzar and his daughter display their inked fingers after casting their votes in Mumbai. 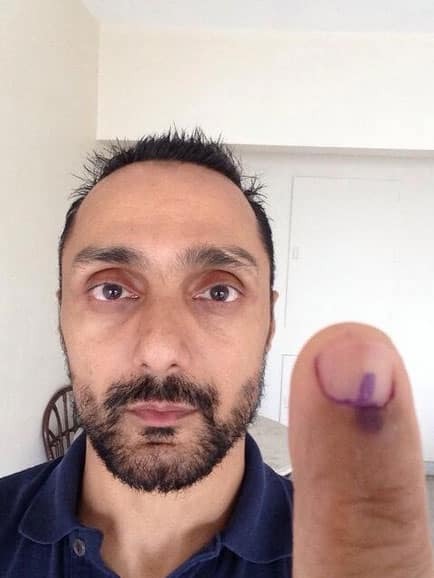 Bollywood actor Faizal Khan shows his inked finger after casting his vote for Lok Sabha polls in Mumbai. 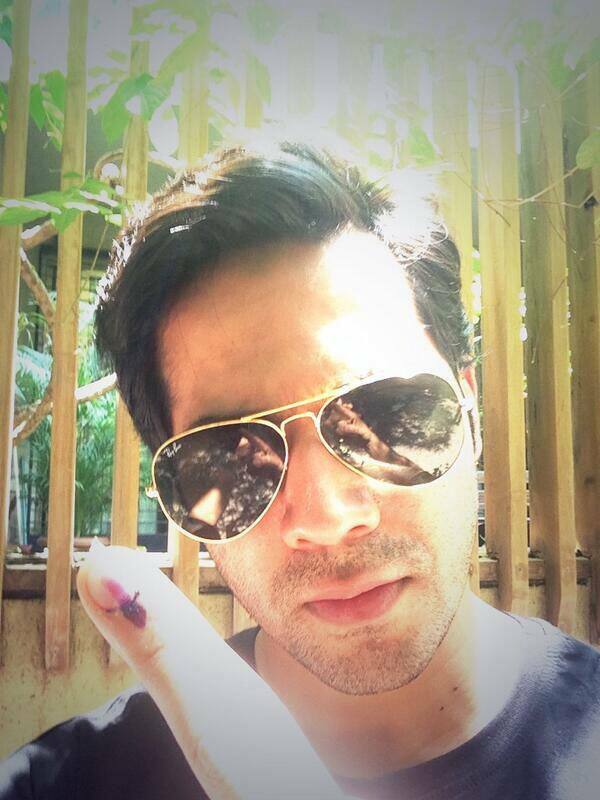 Varun Dhawan flaunts his inked finger. 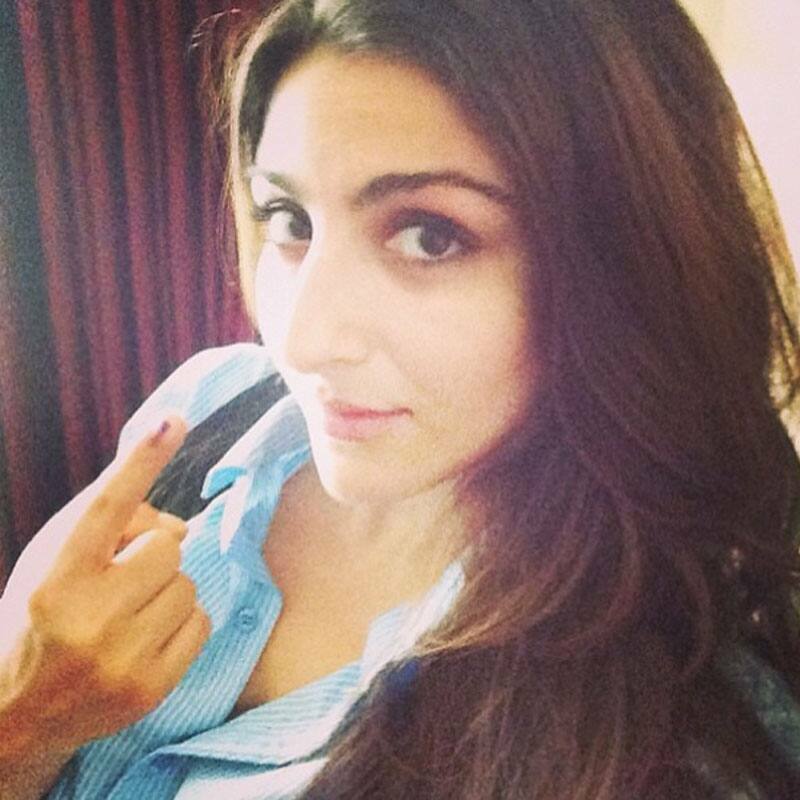 Soha Ali Khan tweeted, "I just voted. No matter what the result I know my vote counts - my voice matters.(sic)." 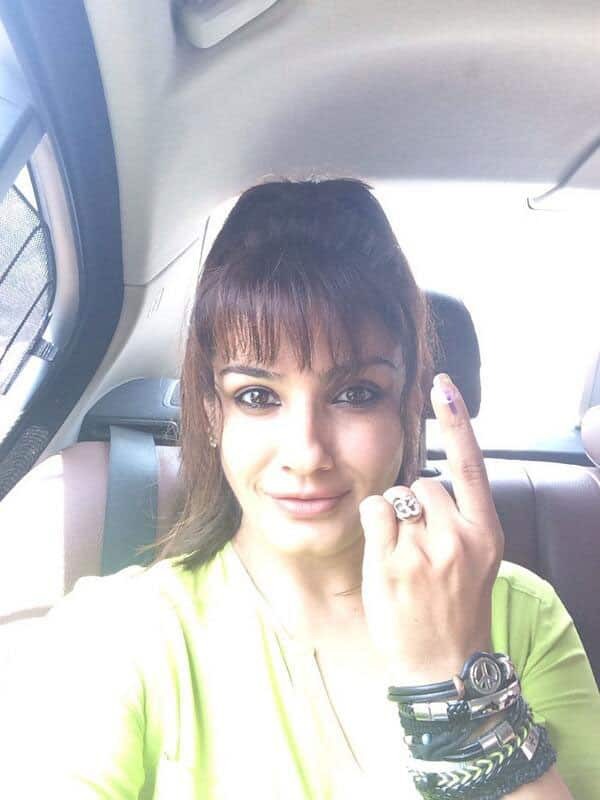 Raveena Tandon posted a picture of hers on Twitter after voting. 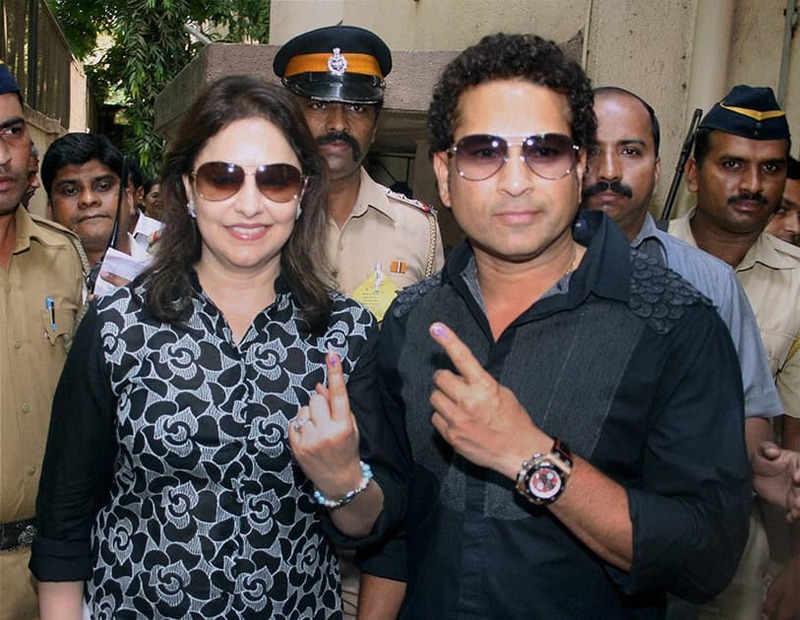 Master Blaster Sachin Tendulkar with wife Anjali Tendulkar display their inked finger after casting their vote in the Lok Sabha Elections 2014 in Mumbai. 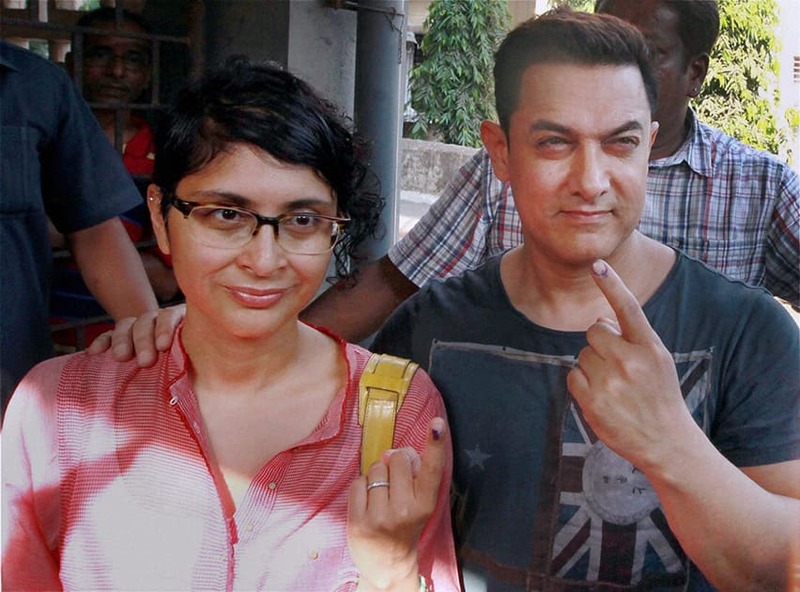 Bollywood actor Amir Khan with his wife Kiran Rao dislpay their inked finger after casting their vote in Mumbai. Bollywood actress Preeti Zinta shows her inked finger after casting her vote in Mumbai. Megastar Rajinikanth casts his vote. 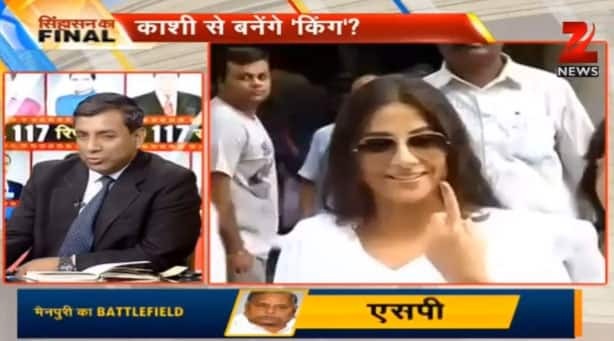 Vidya Balan exercises her fundamental right to vote as an Indian citizen. 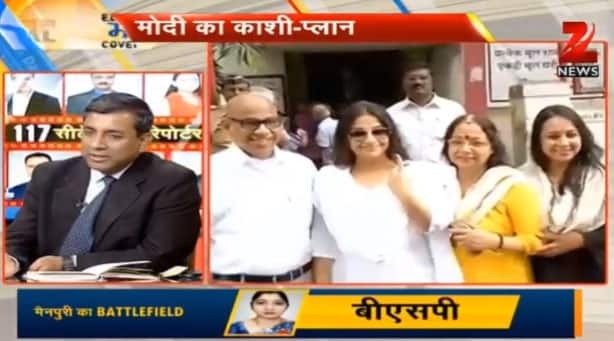 Vidya Balan strikes for a candid pic with her family after voting. 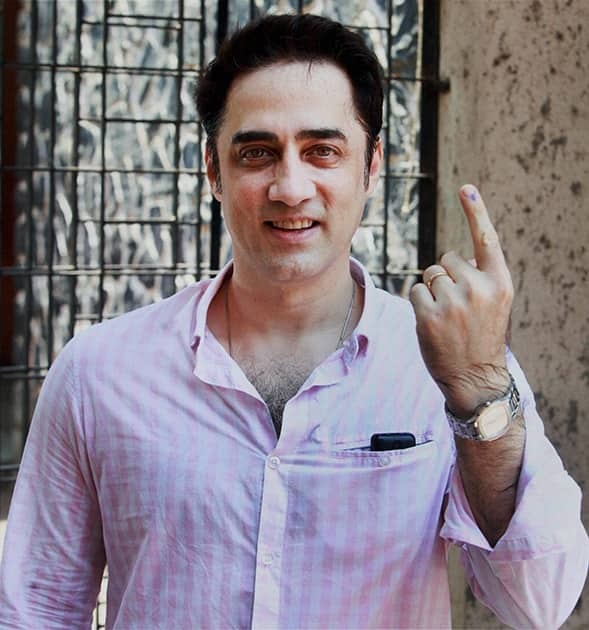 Sunny Deol shows his inked finger. 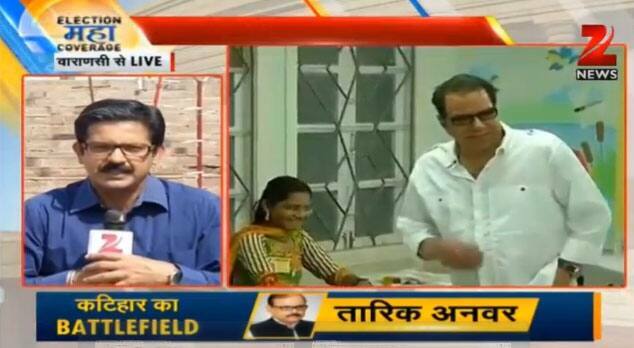 Veteran actor Dharmendra casts his vote.